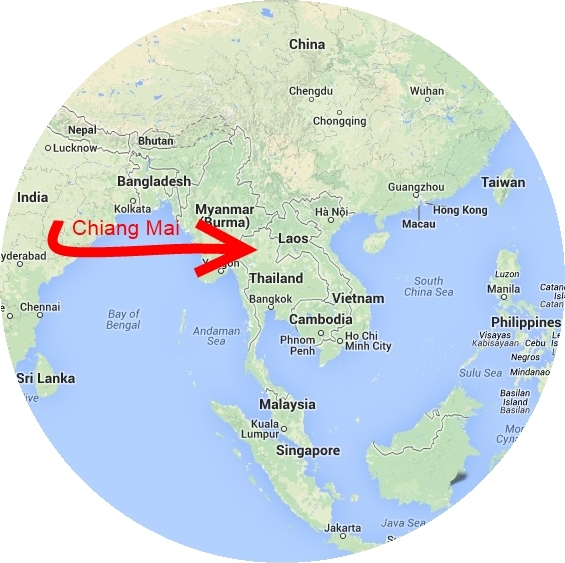 Where is Chiang Mai Riverside Condo in Thailand? 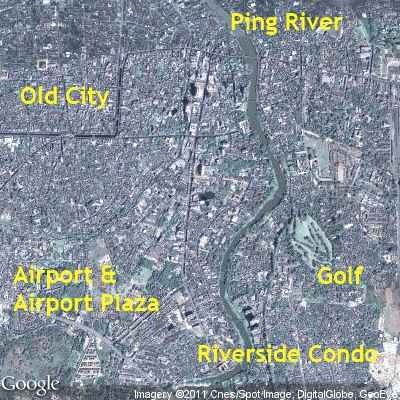 Chiang Mai Riverside Condo; where is it ? 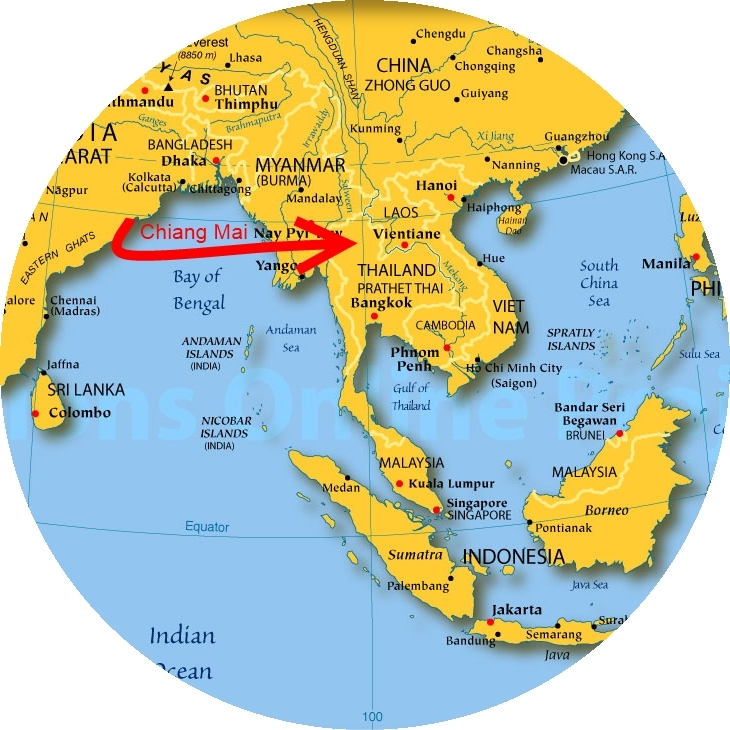 Have a look at the following maps first please. 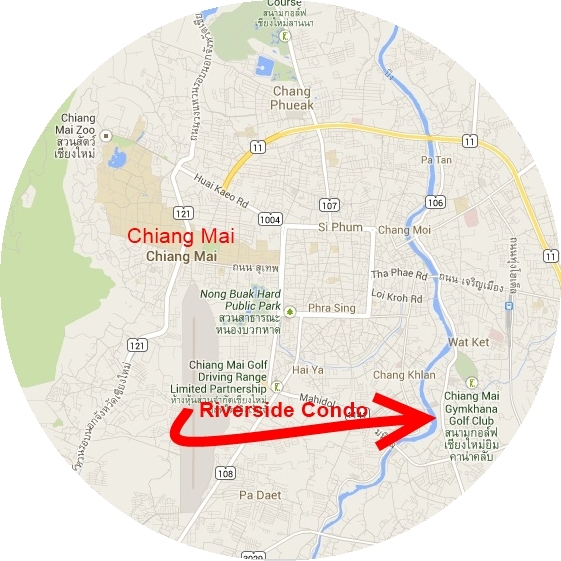 Chiang Mai Riverside Condo is located at the South East part of Chiang Mai City. On the corner of the Ping River / Mengrai Bridge with the Chiang Mai – Lamphun Road. Chiang Mai - Lamphun Road (East side of the residence) is the only lane in Chiang Mai bounded both sides with very tall and old rubber trees. The locals will assure you that the trees are indeed rubber trees. 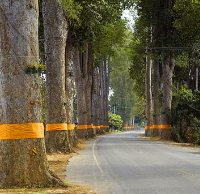 Some trees have a 1.000 + year history and have yellow-orange linen decorations around. A Thai-Buddhist way to show respect for the old trees. On the other side (West), the Ping River flows in front of the building at 20 meters away only. Residences on the West side offer spectacular views. 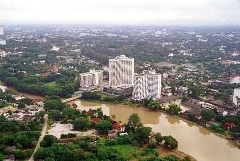 There is NO flooding danger as both, Holiday Inn and Riverside Condo, are build on higher land. 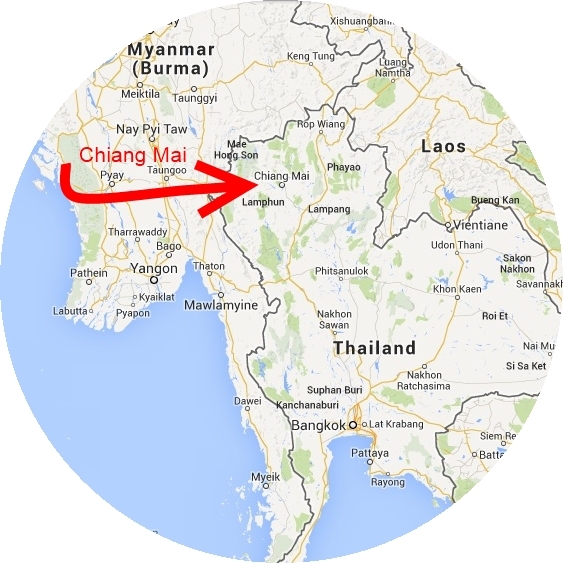 We are just ½ mile (500 m) South of Gymkhana Golf Course on Chiang Mai - Lamphun Road. It is the oldest sportsclub in Thailand founded by foreign people more than 100 years ago. Easy access to all main roads with Superhighway at ½ mile (500 m) further South on Chiang Mai-Lamphun Rd. The Old City with Night Bazar, Saturday – an Sunday Walking Street is at 1.5 mile (2 km). Shopping Centers at 2 miles (3 km). Grocery stores, restaurants, local markets, pharmacies, hotels, hospital, police etc. etc. at the doorstep. Everything is easily reachable by your own or by public transport.